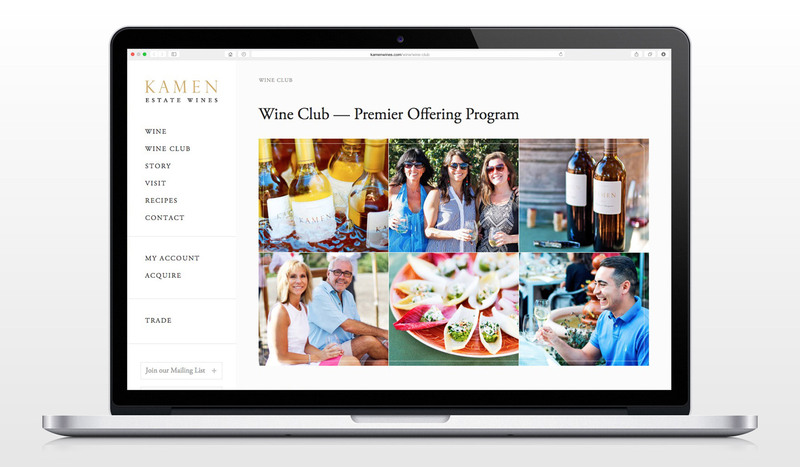 Kamen Estate Wines – designthis! Kamen Estate Wines is a Sonoma-based winery, owned by screenwriter Robert Mark Kamen. 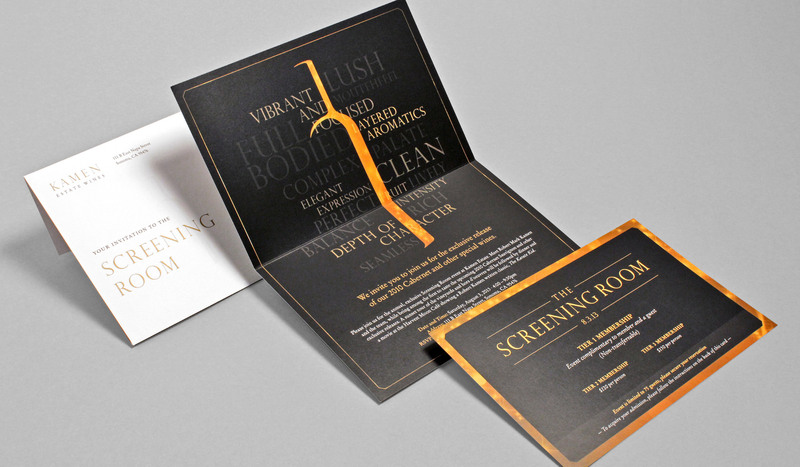 When they first approached designthis!, they had a few assets in place, including a logo mark, a wine label design and a few print pieces with different styles. 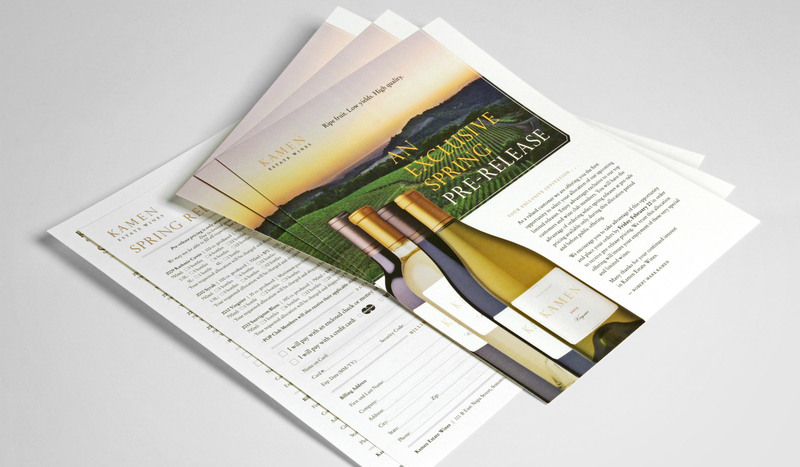 As their new tasting room opened, they desired consistency in their marketing materials, and needed a design company to establish and guide their brand as they continued to grow. The challenge was to create a fitting design style that brought elegance to their brand while working off of what was already established. Although Kamen Wines has a unique story with the proprietor involved in the movie industry, we understood the importance of keeping the focus on the wines and the wine brand, with smaller allusions to the proprietor’s screenplays; this keeps the wine known for its high-quality, rather than for who it’s associated with. Since the new tasting room has a clean, modern feel, we extended that aesthetic by combining their beautiful, scenic vineyards and crisp bottle photography with simple, elegant typography. 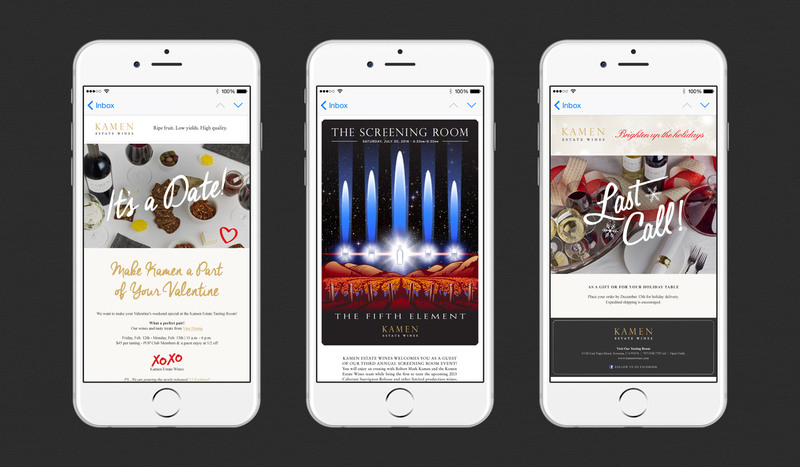 To help make their collateral more unique, we use a corner of their label shape as a frame to crop their imagery. 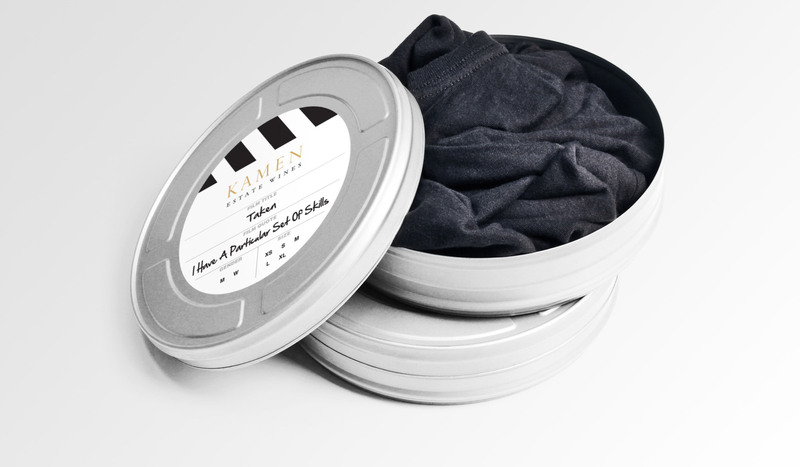 The films Robert worked with are appropriately incorporated in more whimsical collateral, such as t-shirt film canisters and special event pieces. 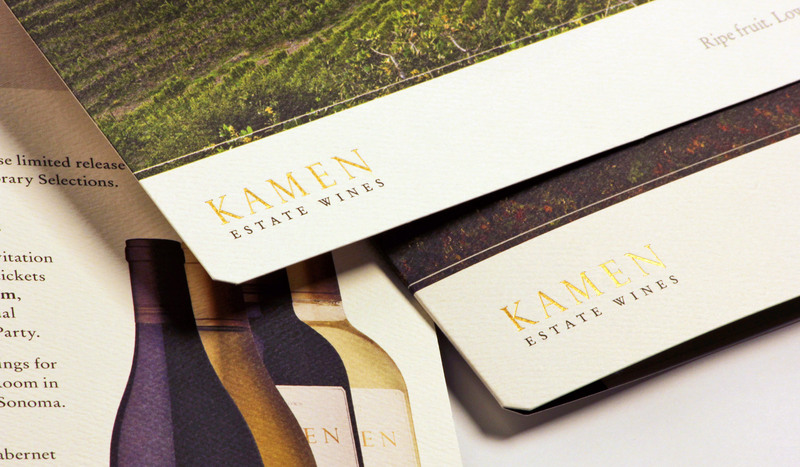 After creating and designing numerous marketing materials for the winery, including brochures, wine note sheets, website and eblasts, the look of Kamen Estate Wines is elegantly consistent with a clear vision of who they are as a winery, and their brand properly communicates what their wines are about — drama, personality and depth; qualities of a captivating story, captured in every Kamen bottle.